Thanks to its integrated user interface and standard WLAN and Ethernet interfaces, the new generation Sunny Island can be immediately and easily controlable and monitored via smartphones or tablets. It uses standard Ethernet and WLAN interfaces and features optimized data logging for maximum transparency, even without continuous online access. With the new generation Sunny Island, installers and PV system operators benefit from an even more user-friendly battery inverter with warranty period extended to 10 years. The Sunny Island has maximum flexibility, from operation in remote off-grid areas to commercial or home energy management – it works with self-consumption systems, battery backup systems and off-grid systems. 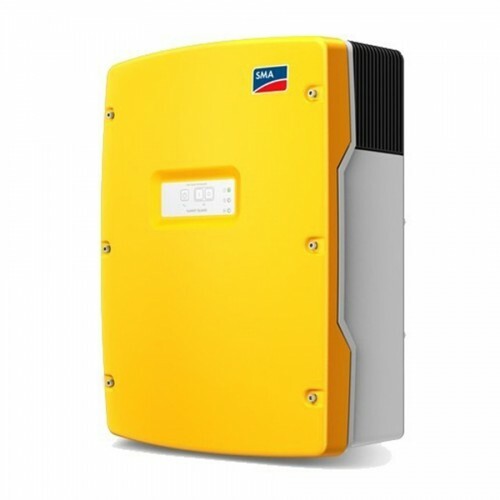 It is ideal for retrofits or modular expansions of single- and three-phase systems in the 1 to 30 kW range. All lead-acid batteries and over 20 different lithium-ion batteries can be used and be expanded with SMA Multicluster Technologie for systems in the 20 to 300 kW range. The Sunny Island runs reliably under even the most extreme conditions – without compromising its efficiency, it‘s exceptionally high overload capacity ensures a safe electricity supply, even in critical situations.